In today’s marketplace, anyone can start their own business. But even the most innovative entrepreneurs can use a hand when it comes to getting their latest business venture in order. Even if you understand how to translate expert market analysis into the next top-selling product on Amazon, your potential will be sorely limited if you don’t lay the proper groundwork first. For starters, that means designing an Amazon FBA business plan that will weather growing competition and emerging industry trends for years to come. If this sounds intimidating, don’t worry. After all, part of being a strong business leader is knowing when a particular aspect isn’t your area of expertise so that you can take action. The early months & years of your Amazon FBA business are absolutely critical. So if you’re truly hoping to maximize your performance and long-term profitability, you need to put in the work as early as possible. How you organize and plan for your company’s future can make a tremendous impact over the ensuing years, often deciding the fate of your business. To help you prepare for the road ahead, we’ll take a look at some game-changing tips that you can apply to streamline your business for success. Whether you’re looking to establish some passive income or hoping to one day sell your Amazon business, here are five things you need to consider when you build your Amazon FBA business plan. The infrastructure you create for your business is absolutely key to whatever you do next. So, before you get too deep into your operation, you’ll want to explore, select and implement a wide variety of tools that can manage your data, streamline your processes and safeguard your business from any mishaps that it may face. For example, you’ll want to take advantage of some kind of password management tool, such as LastPass, that will allow you to securely store and access the various passwords that you and your team will need in the day-to-day operation of your Amazon FBA business. If you’re still relying on a Google spreadsheet to save your passwords, it’s high time for an upgrade, for both security & efficiency’s sake. Doing a bit of research of simple online tools that you can use to automate many of the most mundane administrative tasks will likely prove to be an eye-opener. Best of all, these systems almost always require minimal upfront investment (usually a reasonable monthly fee) and can be installed and activated on short notice. Also, this should go without saying, but ensure that your Amazon seller account is properly set up and in good standing. You’ll certainly need a professional selling plan if you’re going to kick your business into high gear. Review your account status regularly, to verify that everything is set up as you intend. For example, you may have a credit card configured to pay your sponsored ads — but if that credit card expires or is closed, your ads will stop AND your Amazon payouts may be withheld if a balance is due. Since cash flow is key, this can create a very difficult position… one that can be avoided with your attentiveness. If you haven’t already, we highly recommend you incorporate your business as soon as you can. Once you do, you’ll enjoy various legal protections that will provide a bit of a safety net for your business, benefits that will not go into effect if you’re still working under your personal Social Security number. 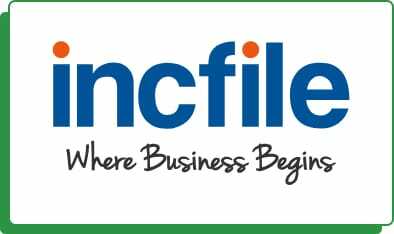 In fact, the process to turn your business into an LLC is relatively simple, as you’ll find tons of companies (like Incfile) online that can facilitate the process. In just a matter of days, your business will officially be an LLC (and all that this implies). While you’re at it, now’s the perfect time to trademark your brand name as well, by obtaining what’s called a word mark. (companies like TrademarkIt and Trademarkia can help you out there). Unlike establishing your LLC, this trademark registration process may take as much as a year or more to be finalized. But once you begin the process, normally you can use the ™ designator on your company name or logo, provided the actual word appears in your logo. Trademarks tend to elicit a sense of legitimacy for your customers, and a sense of respect from your competitors. Don’t worry about trademarking your actual logo itself though, as long as your business name (that was word marked) appears in it. Once your trademark is fully registered, you’ll want to apply for Amazon Brand Registry to better protect your business assets on Amazon. This is one step to help avoid falling victim to fraudulent sellers, offering counterfeit product against your listing & brand. There is hardly anything more frustrating than your well planned & launched product/brand being taken advantage of by imposters, and the backlash of negative product reviews from disappointed customers. Whenever you set up any kind of retail business, you’ll need a specific UPC barcode for each product. Contrary to what you may have seen online, not all barcodes are created equal. Many barcode listings you’ve seen online, like on eBay, that are too good to be true probably are. In many of these cases, you never really obtain full ownership over the code in question, and this convoluted structure can actually damage your working relationship with Amazon. You’ll need either a manufacturer barcode or an Amazon barcode to sell on the site and can register it specifically to your product. The bad news is that obtaining UPCs legitimately involves a bit of research and significant upfront investment. Unfortunately, many business owners who enter into online retail are caught unaware about the substantial expense of buying them properly, and the potential risk of buying them on the cheap. In the short term, the added cost may hurt your bottom line, but over the course of time, you’ll come to realize how fortuitous it is that you kept your business on the straight and narrow. As with the password management example up top, a big part of building your Amazon FBA business plan is minimizing liability and risk. Using faulty barcodes is a complication your business definitely doesn’t need, in either the short term, or down the road if you’re trying to sell your business. 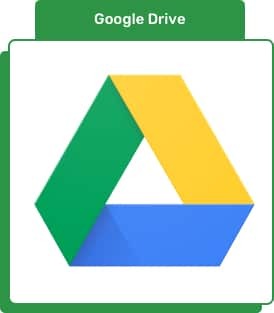 As you begin building your business, remember just how vital it is that you establish a clear organizational system for all your company’s files (we recommend Google Drive). This will be where you can house all your accounting figures, your list of suppliers, invoices, images, details of your launched products and the thousands of other bits of data you’ll collect relating to your Amazon FBA business. As you build your business and its systems, keep your organizational path and file structure clear. Always remember that the task currently at hand is not the last time that task will need to be done, and clear documentation & organization in the current moment will be your savior later. It will be wise to utilize a task management tool, such as Asana or Trello. For example, lay out your internal protocol for product launches. Break it down step by step for example in a spreadsheet, then link each major step to a folder which contains all pertinent assets/training/data that makes the step repeatable – ideally without you. This will save you & your team countless hours during the lifecycle of your business, as your well-documented efficiencies will be just a few clicks away. Rather than having to start from scratch or reinvent the process every time, your team can simply refer to your steps and proceed through the pipeline at an expedited pace. Time is money, so: get organized. 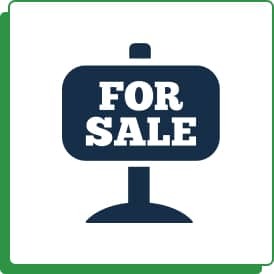 Moreover, if you ever do decide to sell your business (more on that train of thought below), your detailed files will give a prospective new buyer all the instructions needed to keep on rolling. Thanks to the business plans and process documentation you’ve carefully optimized over the course of many years, you won’t have to stress over the training of an incoming team to understand and execute the details of your business. That may make a difference in the sale of your business. If you don’t have your processes recorded, you might wind up wrapped up in a lengthy transition period, or the necessity for such guidance may even preclude the sale altogether. In any case, whether it’s for your benefit or your company’s next owner, organizing your files from day one is most certainly in your very best interest. Speaking of the idea of selling your business, we cannot stress enough how beneficial it is for you to embrace goal-setting early in your company’s lifecycle. Under what conditions will you be satisfied selling your business? You may have a certain benchmark you want to hit as far as annual profit, market share or some other metric. The danger in not deciding upfront what you’re hoping to accomplish with your business is that you may get caught in a perpetual, greedy waiting game. Instead of capturing the opportune moment in your company lifecycle to sell, your window will sail by. Even if you end up revising your original company sale objective, just having one in place can motivate you to push yourself and your business harder, achieving your new goals more rapidly. Too many business owners pass up their golden opportunity to sell their company, blinded by the mirage of something more. As soon as you notice that your company has begun to plateau or you feel comfortable letting go while it’s still at its height, that’s when it is time to let go – if not before! Thanks to the above steps, you’ll already be armed with the standards of procedure and lessons learned from your previous endeavor. Even if you start from scratch with an entirely new brand in a new vertical post-sale, these touchstones will serve you well, having charted your proven course toward even greater opportunities that lay ahead. After you’ve spent many months and years building your company from the ground up, it’s a major motivating factor to continually improve the value of your business. Valuation is the process by which the worth of your company is estimated, providing you with an indication about how close you are to meeting your long-term objectives. Let’s assume for a moment that your interest in your Amazon FBA business’s value is targeted for an eventual sale, preferably at maximum valuation and a higher-than-anticipated sale price. You’ll need to bring specific documents to get the process started. Your tax returns, monthly profit and loss statements and balance sheets are all required to verify gross and net income, the most integral figures in the valuation of your business. From there, your business broker can crunch the numbers, ultimately arriving at the precise ratios and calculations that your potential investors need to know. At this early stage, you’re likely wondering if you can do anything specific to boost the value of your business or, at least, its valuation. While we don’t have any secret tips and tricks to offer, we can say that your best bet is to watch your books closely. Clean financials — including a detailed breakdown of all your expenses — make it that much easier to prove the accuracy of your calculations. As a rule of thumb, the more profitable you can demonstrate that your business is, the higher the valuation rating will be when all is said and done. The above steps, of course, won’t guarantee that your Amazon FBA business is destined to soar (or sell), but it will certainly give you an edge over your competitors and set the stage for you to make the most of what comes next. With all the time and money you’ve invested into your business, we know you’re committed to getting the most return on that investment. The reality of it is that the foundation you create — either before you launch or in your first year or two of operation — has an inevitable trickle-down effect of everything that comes afterward. By being proactive regarding what will most likely yield you the best results long-term, you’re essentially protecting the future of your company, way in advance. Some business owners aim to build their company up so that they can ultimately rest easy and let others run things, while others dream of one day selling it off for a tidy profit. At this point, your priority is to anticipate your end goal and do what you need to do work towards it. Especially when your business is young, it’s easy to get caught up in the fervor and excitement of early growth. You’re doing yourself a huge favor by looking at the big picture. With such strategy intrinsically tied to your business, you’re that much closer to creating a business that matches your vision, and an endgame that brings a happy return to all you’ve invested.